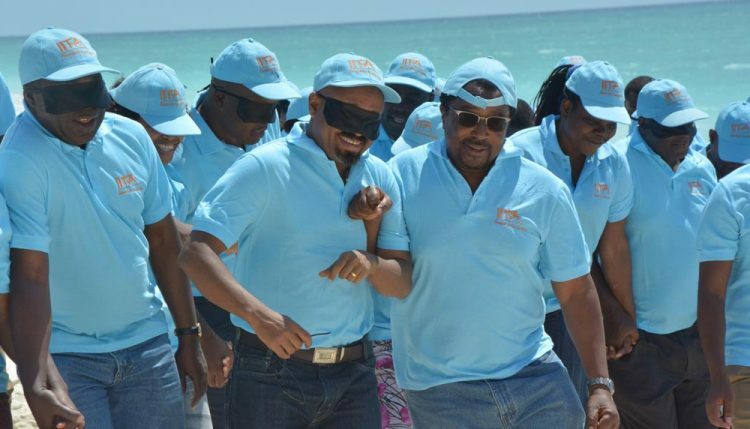 More than 70 staff from Zambia, Malawi, and Mozambique―country stations comprising the IITA Southern Africa Hub―converged on the picturesque seaside town of Nacala in Nampula Province, Mozambique for the Hub’s annual retreat, which was held from 22 to 26 August at the Thamole Lodge and Resort. Chikoye discussing the proceedings of the 2014 SA Hub retreat. 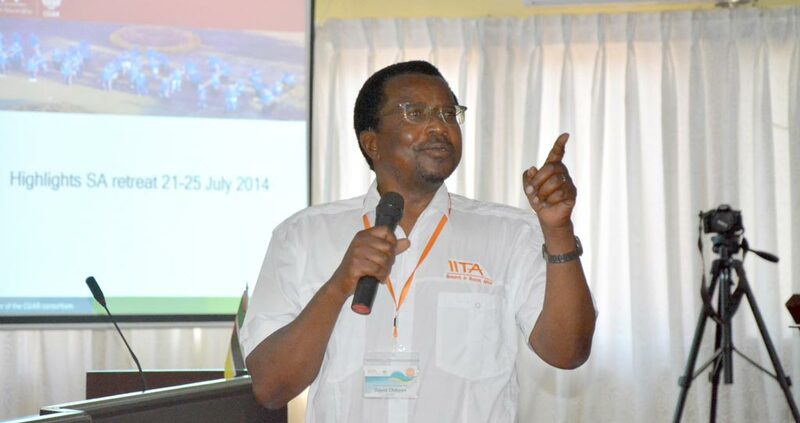 “This is why we are here this week, to let each other know what we are doing and find ways to help each other with the end goal of collectively pushing forward our R4D mandate in the region as IITA. And of course, have a little bit of fun while doing so,” he added with a smile. During the retreat, participants deliberated to refine the SA Regional Strategy and discussed the implications of the revised institutional organizational structure. SA Hub-based scientists also made presentations about their projects and initiatives within the thematic areas of socioeconomics and agribusiness, crop improvement and biotechnology, food science and nutrition, plant health management, natural resource management, and youth-in-agriculture. Posters were exhibited to complement the presentations, while special sessions on improving publications and potential areas for proposal development were also held. R4D support staff also presented their activities and plans in the areas of station/Hub administration and finance, human resources, infrastructure development, communications, and ICT. Additionally, staff from IITA-Ibadan facilitated special workshops on the Technologies for African Agricultural Transformation-TAAT (Chrys Akem) and ENABLE Youth (Evelyn Ohanwusi) via webinar, project administration (Kayode Awobajo, Project Administration Office), proposal development (Muyiwa Anthony Peters, Proposal Development Office), human resource policies (Lilian Mendoza, Human Resource Services), and presentation skills’ improvement (Katherine Lopez, Communication Office). Retreat participants during the HR-led group dynamics and team building exercise. To round-off the week-long retreat, participants held a team building exercise which was facilitated by Lilian Mendoza, Helen Adeniji, and Akinyemi Akinsoji of the HR Office. 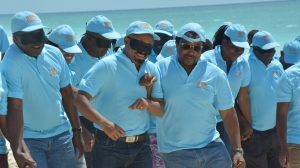 The fun-filled event was held along a stretch of white, sandy beach fronting the turquoise-blue waters of the Indian Ocean. The next SA Hub retreat will be held in Livingstone, Zambia.